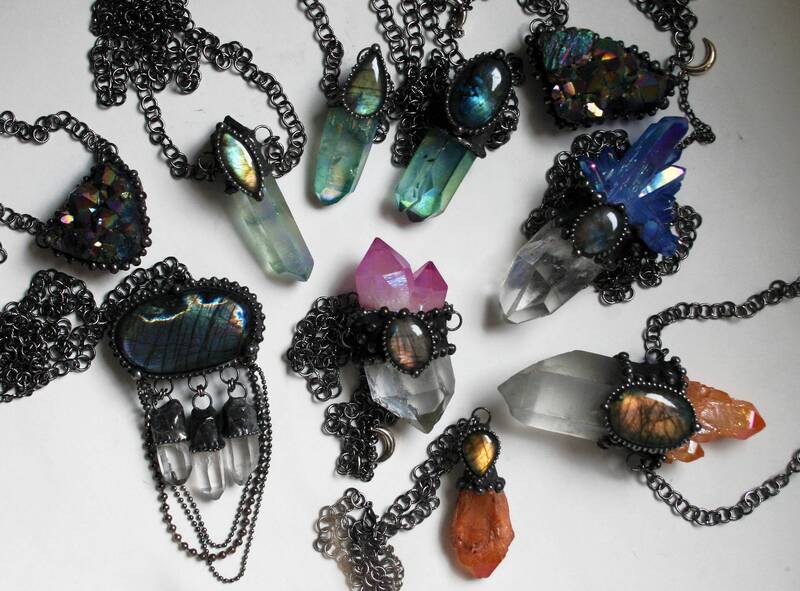 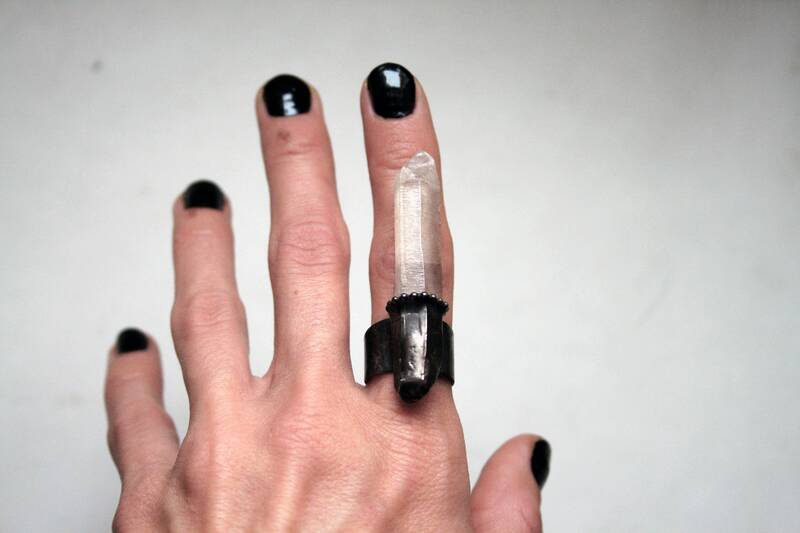 One ring featuring a rough raw terminated quartz crystal point, with a VERY SUBTLE silvery gold aura on ONE SIDE only. 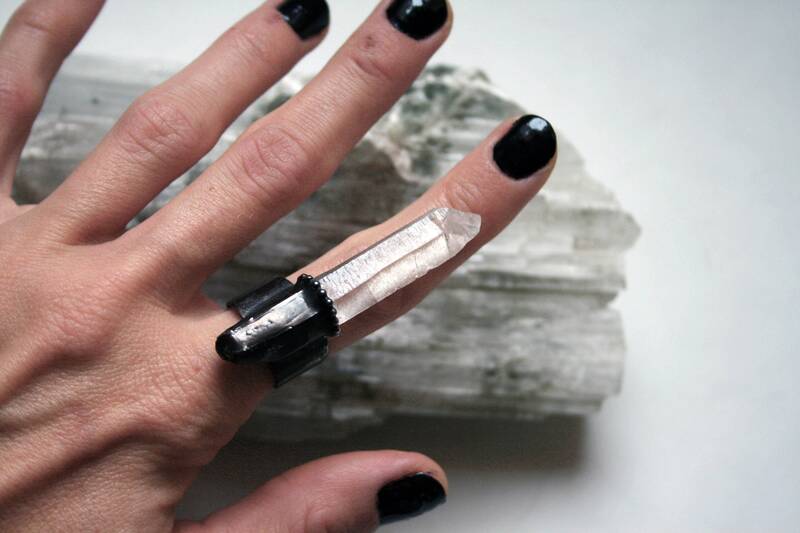 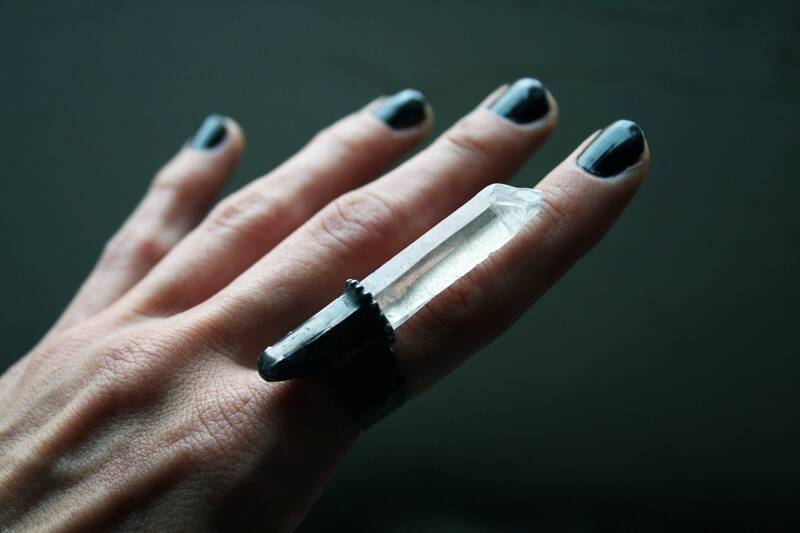 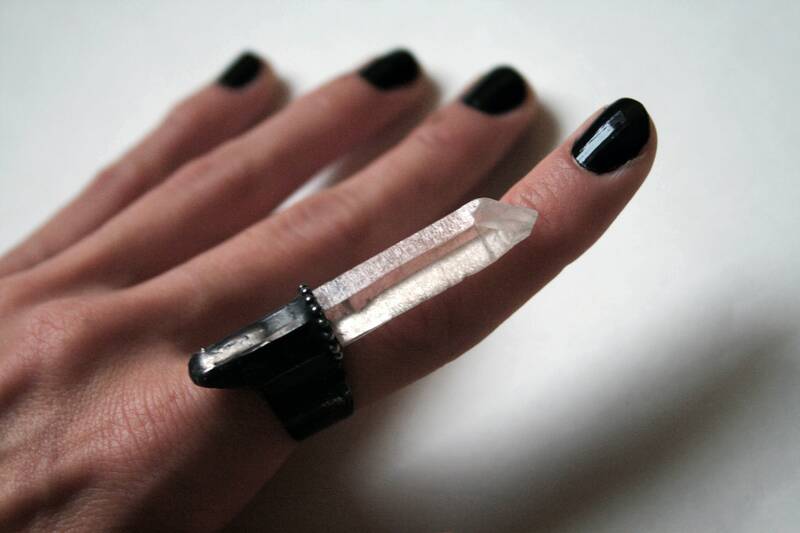 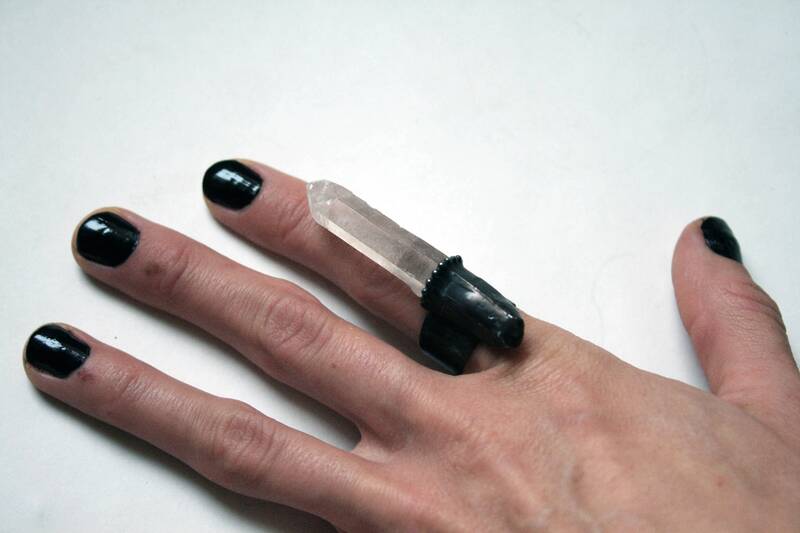 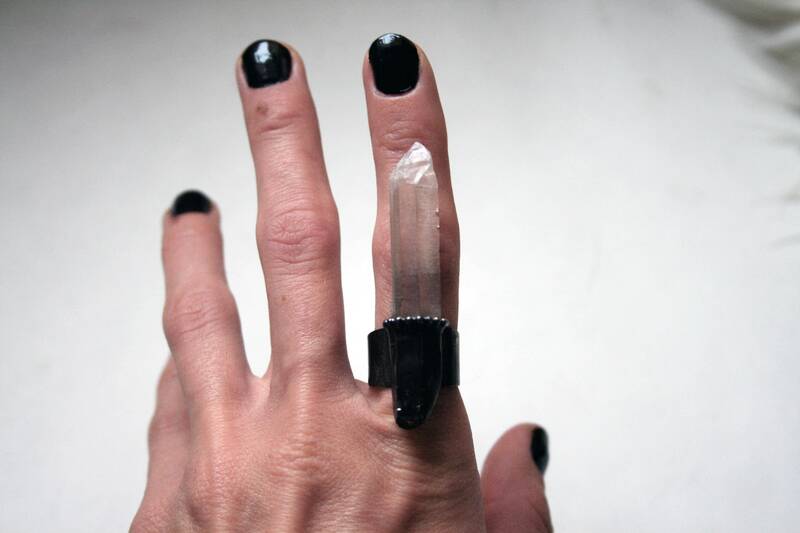 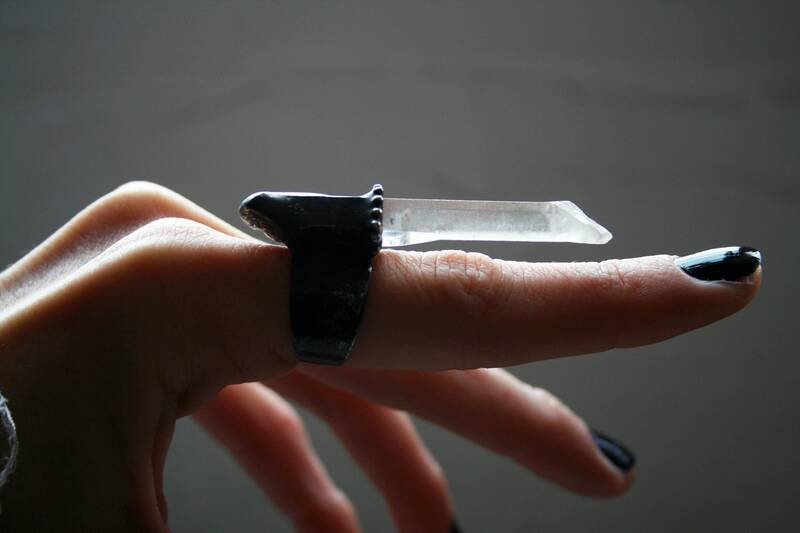 We are pricing & selling this ring as a clear/white quartz ring, though it does have some aura to it. 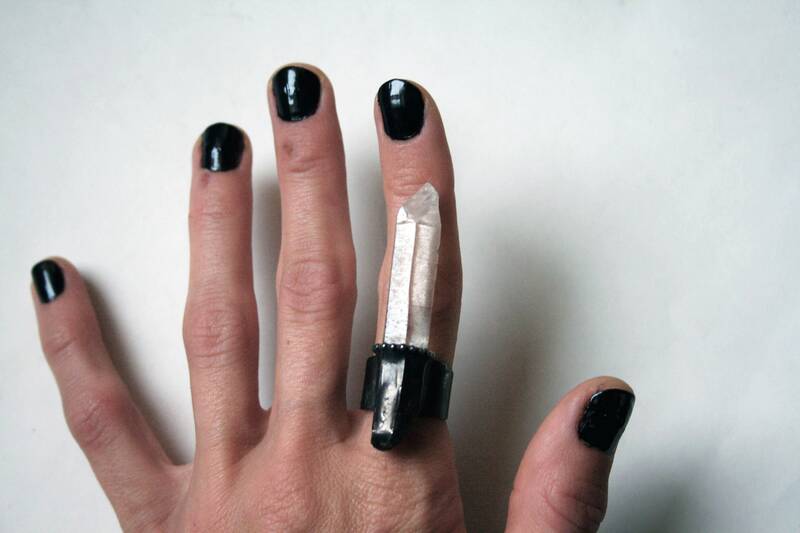 This stone has been set in a handmade artistic sculptural solder setting, on a brass band that has been heavily coated with solder.